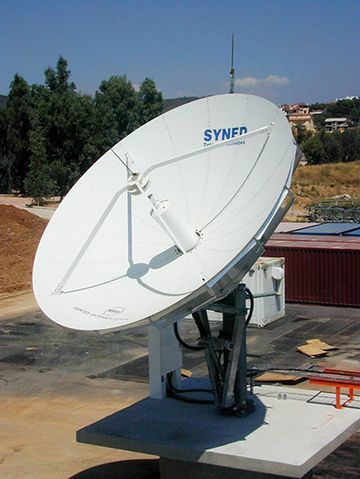 Telecommunications industry, broadcasters, TV stations, SigInt services, satellite manufacturers and operators recognize VERTEX ANTENNENTECHNIK (VA) as a proven provider of turn-key ground stations. The architecture and design of every station is always based on individual customer requirements. VA offers the optimum solution for digital voice, video and data transmission. Besides the wide range of standard Limited Motion Satcom Antennas for transmission to and reception from GEO satellites, VA also offers a variety of Full Motion Antennas for operation with MEO/LEO satellites. Multi-frequency-band feeds allow simultaneous transmission/reception in more than one band. LNAs, transceiver systems, up and down converters, SSPAs, HPAs, KPAs as well as baseband equipment are parts that VA supplies. Before the components are delivered to the site in-plant rack integration is performed together with the monitoring & control system. Standard as well as customized air conditioned equipment shelters including UPS can be delivered on request.